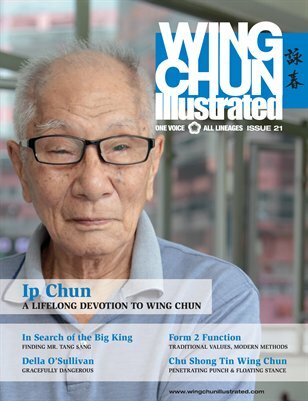 Issue 21 of WCI features Sifu Ip Chun on the cover. Ip Chun is one of the oldest surviving Wing Chun teachers in Hong Kong and has spent the last 57 years travelling the world providing seminars. He is a true testament about the positive effect Wing Chun can have on our health—at 91 years of age, Sifu Ip Chun still attends, oversees and teaches at the Ving Tsun Athletic Association in Hong Kong. For a complete table of contents, please visit our website.